It’s Wednesday. You’ve had a hard day. You just want a great glass of wine. You know you don’t want to open a full bottle because you won’t (or shouldn’t) drink the whole thing. If you have a fancy wine preservation system, terrific. For those who don’t, consider the appeal of the split: Rogers & Company offers 17 wines in 375 ml bottles, all in cases of 12. Here, you’ll find a few offerings that are in stock now. In my mind, every great meal begins with Chablis. This is the most singular of Chardonnays. The great chalky terroirs of the best vineyards produce wines with indelible character. Medium-bodied and austere with a floral, melon and citrus personality, the minerality on the palate of the Vau de Vey is truly what it’s all about. There is no scientific explanation as to why this wine, grown in soils that were once an ancient sea floor, pairs so well with seafood. It just does. Tightly wound in its youth, this really benefits from some ageing. I recommend drinking it beside some shucked oysters or chilled seafood. Three generations of have worked the Vacheron family vineyards in the heart of the appellation. Today, they are regarded as one of the great Sancerre producers, leaders in the modern era who embrace biodynamic farming. Simply delicious, this Sancerre displays candied citrus and berry aromas and flavours accented by grain and pencil shavings on a firm, light-bodied structure. On the dry side, it lingers nicely on the finish. Great Pouilly-Fuissé is one of the wine world’s best values. Located in the Mâconnais region of Burgundy, the best sites often share the calcareous limestone soils so sought after in the Côte d’Or, but benefit from warmer days, longer hours of sun, and little risk of frost or rot. The Luquet family has farmed here for over 50 years. Their wines are aged not in oak, but on lees in stainless steel. They use only indigenous yeasts, and introduce little sulphur. This is artisan Chardonnay. This Pouilly-Fuissé is a generous and rich wine, with an emerald-gold colour. The bouquet presents notes of hazelnuts, toasted almonds and exotic fruit. It is a full-blown, opulent Burgundian Chardonnay that will age well for 6 years. The “Cuvée du Baron” is 45% Grenache, 45% Syrah, and 10% Mourvedre. Grapes are harvested and fermented by varietal in stainless steel, transferred to concrete tanks for malolactic fermantation, then blended and transferred to large oak foudres to age. No new oak means that the warm earthy, stoney, perfumed, savoury nature of these varietals is fully present. Drink now and for 10-15 years. 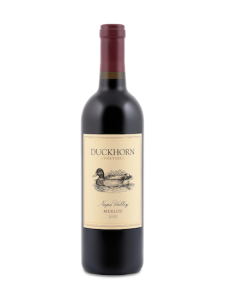 One of Napa Valley’s blue-chip wineries, Duckhorn Wine Company is a specialist in Merlot. 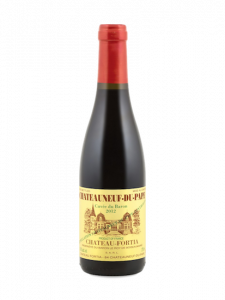 If you enjoy fruity, soft, round, juicy red wine: Here it is. You’re having filet mignon tonight? Look no further than this lush, delicious Merlot. Lytton Springs (and Geyserville below), are so much more than simply “Zinfandels”. This 115 year old, dry-farmed vineyard in Dry Creek Valley produces a full-bodied, opulent, muscular red wine. The blend matters: The contribution of 18% Petit Sirah provides the musculature that Zinfandel lacks, 11% Carignane brings the aromatics, and 2% Mataro brings a little spice. Drink it now and for 15-20 years. 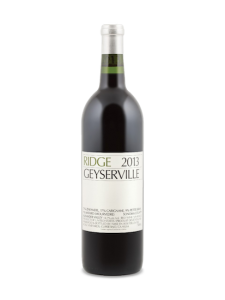 Geyserville comes from a vineyard in Sonoma Valley called Whitton Ranch. The oldest vines, the ones that bring us this bottling, are over 130 years old. More spicey and aromatic than Lytton Springs, I think of this as a lovechild of Zinfandel and Châteauneuf-du-Pape. Drink now and for 10-15 years. Napa Valley Merlot from great wineries is a lush, hedonistic wine. A palate rush of plush red fruit, like strawberries and raspberries, is enhanced by 14% Malbec and 8% Cabernet Sauvignon providing darker flavours, tannins, and weight. The fruit is grown just south of the Stags Leap District in Yountville. Roast chicken, grilled salmon, or wood-fired pizzas would be wonderful dinner companions.